The centre comprises 550m² office space, an exhibition hall and meeting rooms. 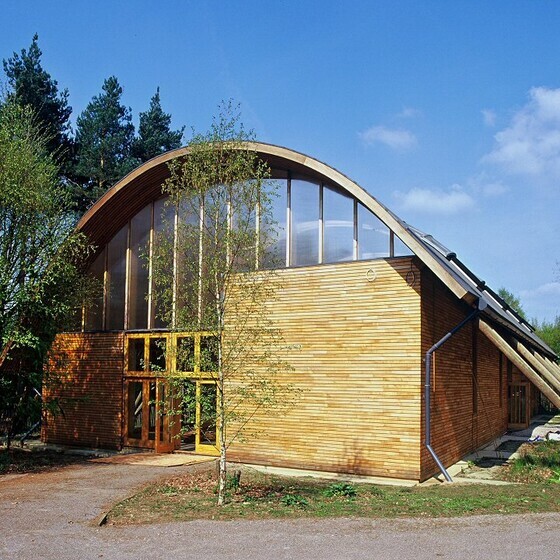 Built entirely from timber, this innovative structure demonstrates how wood can be used to create a contemporary, elegant and low-environmental impact development. 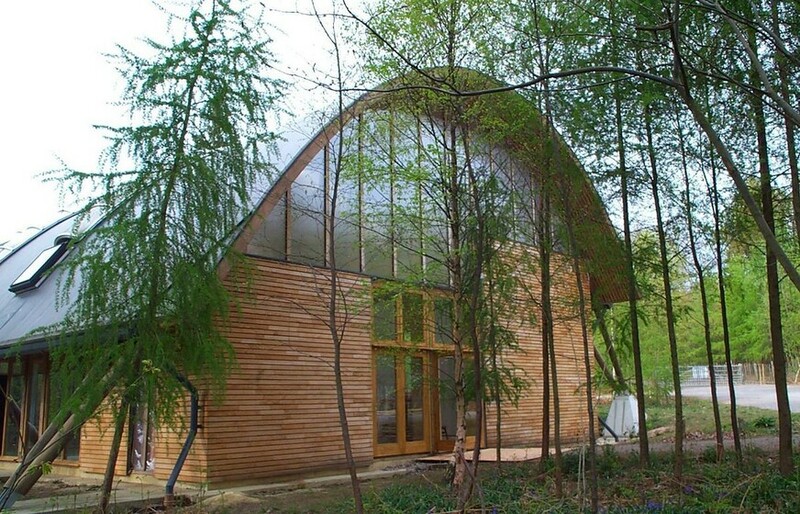 The Woodland Enterprise Centre in Flimwell, East Sussex is both Woodnet’s base and an innovative (and awardwinning) demonstration of what can be achieved with sustainable local resources. 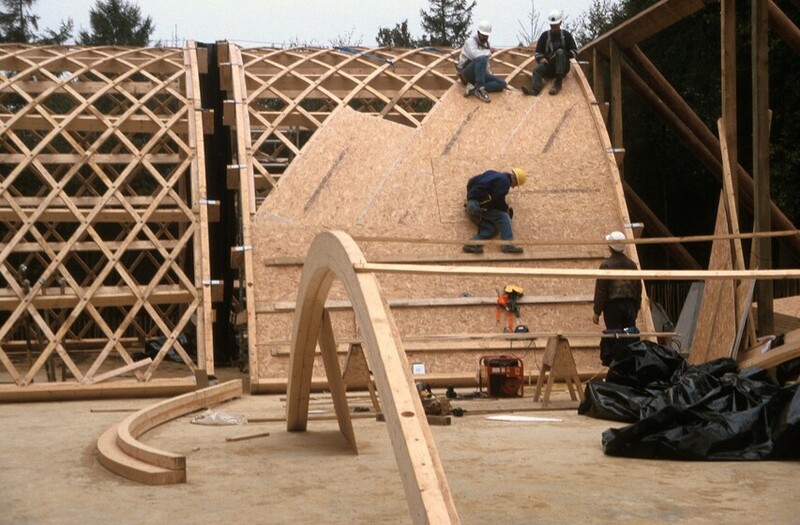 Established in 1996, Woodnet is a partnership of woodland owners and timber processing companies wishing to make better use of locally-sourced materials. 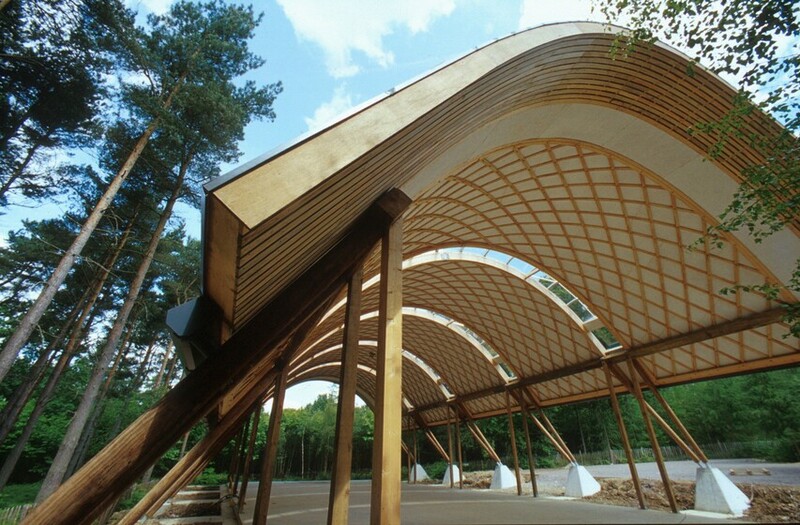 The building shell incorporates a number of light shelves that direct light into the interior while shading the perimeter.